How much savings are recommended for a New Zealand working Holiday? Getting started with a working holiday in New Zealand is the most expensive hurdle you will probably experience during a gap year in New Zealand. Not only do working holidaymakers legally need a certain amount of “sufficient funds” to enter the country, but there are a few expenses to consider even before you enter the country. To help you budget correctly for a working holiday in New Zealand, we have put together this guide on how much money do you need to have for a working holiday in New Zealand. Although you are required to have a “sufficient” amount of funds when you enter the country, we think that for most country’s working holiday scheme, this price can be a little on the low side. To ensure you have enough of a safety cushion for your first few months of your working holiday, we have given you are recommended amount of money you should have for a working holiday. If you don’t have a comfortable amount of savings to start your working holiday in New Zealand, then don’t worry! We know a few quick ways to save money for a working holiday in New Zealand. For more advice on budgeting for a working holiday in New Zealand, take a look at What is the Cost of a Working Holiday in New Zealand? and What is the Cost of Backpacking in New Zealand? There are costs to consider even before you arrive in New Zealand, from the working holiday visa application fee to flights. Depending on what working holiday scheme country your working holiday visa is under, your application for the working holiday visa will either be free or NZ$208. The price of a flight to New Zealand varies depending where in the world you are departing from. For advice on getting the best deal, check out How to Book a Cheap Flight to New Zealand and Flight to New Zealand: Return Vs. Open Return Vs. One Way. You might not like it, but having travel insurance for the duration of your stay in New Zealand is one of the conditions of the working holiday visa. For advice on getting affordable comprehensive travel insurance for New Zealand, check out Medical and Travel Insurance for New Zealand. This one is optional, but some working holidaymakers choose to use a working holiday program to help set up their life in New Zealand and get some extra guidance. 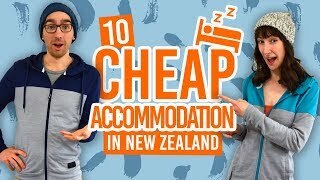 The first few days of accommodation, airport transfer and more is usually included in this fee of between NZ$499-$700. Compare the market before you buy and check out our New Zealand Gap Year: Use a Working Holiday Program or Do It Yourself? A good backpack, hiking shoes and more travel essentials may be worth buying before arriving in New Zealand. Depending on where you are coming from, it is likely that the price of these travel items are cheaper in your home country than they are in New Zealand. Get some advice from our packing lists and How to Choose a Good Backpack. What are “Sufficient Funds” and how much do you need for a New Zealand Working holiday Visa? One of the conditions for the working holiday visa to New Zealand is that you need to have sufficient funds to support yourself for the length of your stay in New Zealand. Upon entering New Zealand, you need to have proof of sufficient funds. This proof can be in the form of cash, travellers cheques, bank drafts and/or a recognised credit card with sufficient available credit. However, for safety reasons, we recommend you use the credit card option showing the funds available. Find out more about using money in New Zealand in New Zealand Currency: The New Zealand Dollar. Although Immigration officers don’t always look at this evidence when you enter the country, it is best that you have it prepared just in case. How much sufficient funds do you need for a working holiday visa in New Zealand? Proving you have sufficient funds is not the only evidence you will need to provide when entering New Zealand. Find out about what else you need to provide in Arrival Advice: Passport Control and Immigration. How much money should you have for a working holiday in New Zealand? Although Immigration suggests a certain amount of “sufficient funds”, we believe that NZ$4,200 is the absolute minimum that you should enter the country with. Starting up a life in a new country is an expensive deal, and you will want some money to fall back on just in case all your plans don’t fall into place. We recommend starting your working holiday in New Zealand with at least NZ$5,500 plus enough money for a return flight from New Zealand. This amount of money allows budget travellers to comfortably pay for your first two months’ budget accommodation, travel, a few activities, and other expenses like food. This means you can go for about two to three months without working when you first arrive in New Zealand, giving you time to scope some of the country to see where you want to work, and time to actually find a job. After that, you should still have some money left over. Then you will top up your travel funds with the money from your work. If you have more money than the recommended amount, then you can be a lot more flexible with your plans. 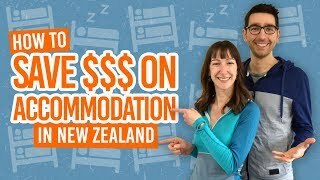 For an idea of the cost of travel in New Zealand, check out What is the Cost of a Working Holiday in New Zealand? and What is the Cost of Backpacking in New Zealand?